Andrew Wood joins AxiomSL as the company looks to expand its footprint in Australia and APAC. 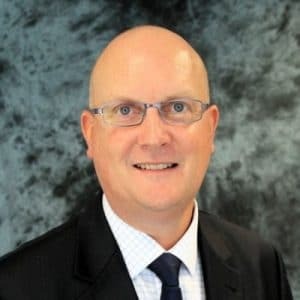 AxiomSL, a provider of regulatory reporting, data, and risk management solutions, has on-boarded Andrew Wood as the group’s newest Country Manager for Australia, following its growth in the region. In this capacity, Mr. Wood will be based out of AxiomSL’s Sydney office, which follows the company’s expansion in the Asia Pacific (APAC) region, in tandem with a bourgeoning client base in Australia. Mr. Wood lands at AxiomSL with over two decades of experience in the financial services space, including two decades at leading investment institutions and banks. Most recently he held senior roles at Macquarie Bank, Deutsche Bank, and Standard Chartered, among other stops. According to Olivier Kamoun, Asia-Pacific (APAC) CEO and Chief Product Officer, AxiomSL, in a statement on the appointment: “As global regulators tighten reporting standards and requirements, we have experienced increased interest from financial institutions looking for a platform that is able to tackle cross-jurisdictional reporting requirements across markets in APAC. “With the new reporting requirements coming into effect, it is essential for financial institutions to be equipped with an integrated platform that will enable them to swiftly adapt to the evolving regulatory environment both domestically and internationally,” added Mr. Wood.